A conversation like this is enough to suggest the presence of a teenager in the home. You can blame it on the turmoil of hormones, peer pressure or anything else but the adolescent years spell a period of emotional tumult and chaos for both parents as well as teenagers. Theirs is a different world and unravelling the mystery of adolescent angst poses a mighty challenge to most parents. Stepping in tune with your resident teen can be the equivalent of scaling Mount Everest. In the 21st Century, modernity has come, crawling in, in the garb of materialism, brazen promiscuity and the unmitigated allure of violence. This has only added to the woes of parents, precipitating the question of how are we to resolve this universal problem of developing stronger bonds of love and understanding between parent and teen. 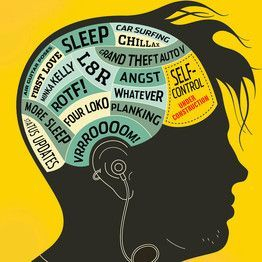 The first step is to understand what takes place in your teenager’s brain. Recent research by Dr. Jay Giedd has brought to light an occurrence that takes place within the teenager’s brain. After studying the brains of 145 normal children with the aid of magnetic resonance imaging, research has found that the area of the brain called the prefrontal cortex begins to grow again just before puberty and then pruning of these brain cell connections takes place during adolescence. The prefrontal cortex controls judgement, emotion and impulses. This pruning takes place from the back of the brain to the front and is not complete in most cases till the individual is in his or her mid-twenties. Thus, erratic and unpredictable teenage behaviour should come as no surprise to parents, especially when it seems risky and maybe even irrational at times. Adolescents tend to be unrealistic and idealistic which veers them towards actions that are palpably detrimental to them. Holding this information in mind, parents need to create an environment where their teenagers are free to express their opinions, thoughts and feelings. Any topic should be open to discussion. Contrary to the views of many parents, discussing issues that are considered taboo is one way of gaining your teen’s confidence. If you are open with your teen, the chances of peer pressure and recourse to misleading information from friends will decrease. Teenagers will reciprocate by willingly attempting to imbibe their parents’ views, values and morals. Sometimes parents let their tempers get the better of them and petty squabbles with their teen can escalate to a precarious level. It is of utmost importance to remember that demeaning or deriding a young person will only earn you rebellion as a reward. One cannot demand respect but must earn it. This can begin with respect for your teen, supported by empathy, and of course, respectful language. Viewpoints and perspectives can be so divergent that the simplest way to settle murky waters is to stop stirring up the mud and compromising – meeting each other half way. This should be done in a manner that increases the self-esteem of your teen as most teens are vulnerable to harsh critique and tend to react abrasively or withdraw into themselves. Gaining your teen’s confidence will be your biggest achievement in the course of the stormy years. Every parent’s victory lies in becoming the first option to find a solution to their teen’s problems – from the most trivial to the most critical.